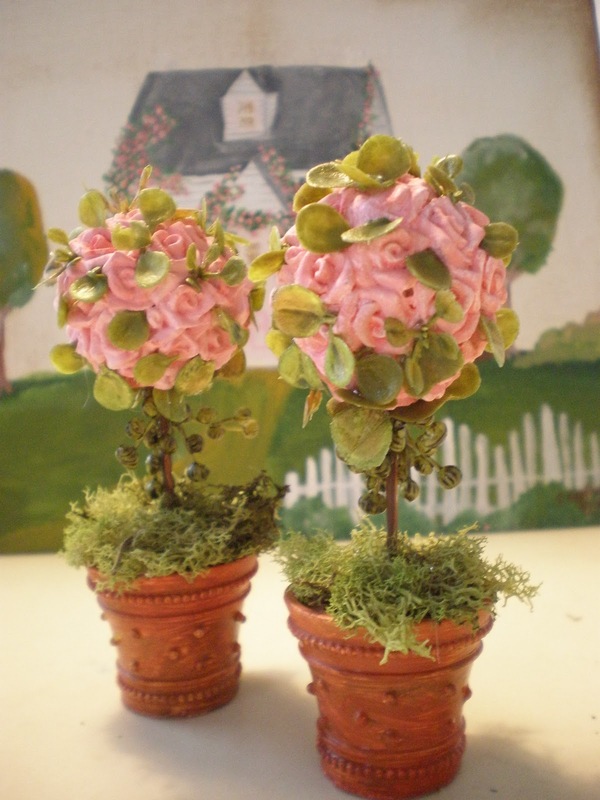 Today, I worked on the little topiary that will go on either sides of the front door. The first one, all white , is how these came. They are actually place card holders for weddings. They have a slot at the to that I filled with a bit of plaster. The second one, I painted the roses pink and pot terra cotta. The third one is almost done. I added little leaves. I found this greenery at the craft store with little leaves that are dollhouse size. Here they are all done. Super cute right? Inside, the walls downstairs are painted a faint pink. Hard to see here. It's dark and rainy so no good shots. I did the "tin" ceiling with my hot glue method. I draw a pattern on poster board. I follow the pattern with the hot glue. It gets a thick coat of white, then silver and finally rust color. The chandelier is in place so the floors can now go in. 20 years, but all that have passed are with Jesus. What joy that brings to my heart! Some of them were very difficult relationships here, but I look forward to having perfect relationships with them when I get to heaven. what a hope we have in Jesus. and I love the french cafe too. That topiary is so sweet and cute. I love your fancy!!! Super-cute! 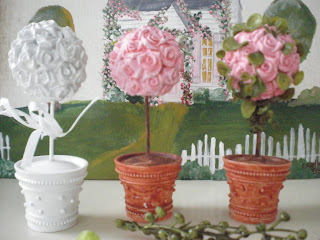 I hope I can find some mini topiaries like that too! Have a great weekend! El techo es una verdadera maravilla, que gran trabajo. Y tu trabajo con la jardineria fantastico, te han quedado de lo mas real. Those little topiaries are the sweetest. I love your ceiling. You certainly are a busy little bee, Caroline! I love your little topiaries, the tiny leaves between the roses makes all the different. Well pop them on a plate and I'd eat 'em! Those topiary trees are just divine! Looks for all the world like mini cakes. 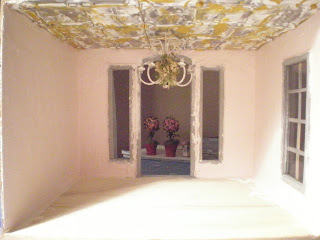 Oh...the soft pink walls...it wasn't hard to see, the photos were great, even with it being dark and rainy! And I can't even BEGIN to talk about the topiaries! For pete's sake, I would have taken them in white and, here you are, you are making them even more special and artistic and beautiful! 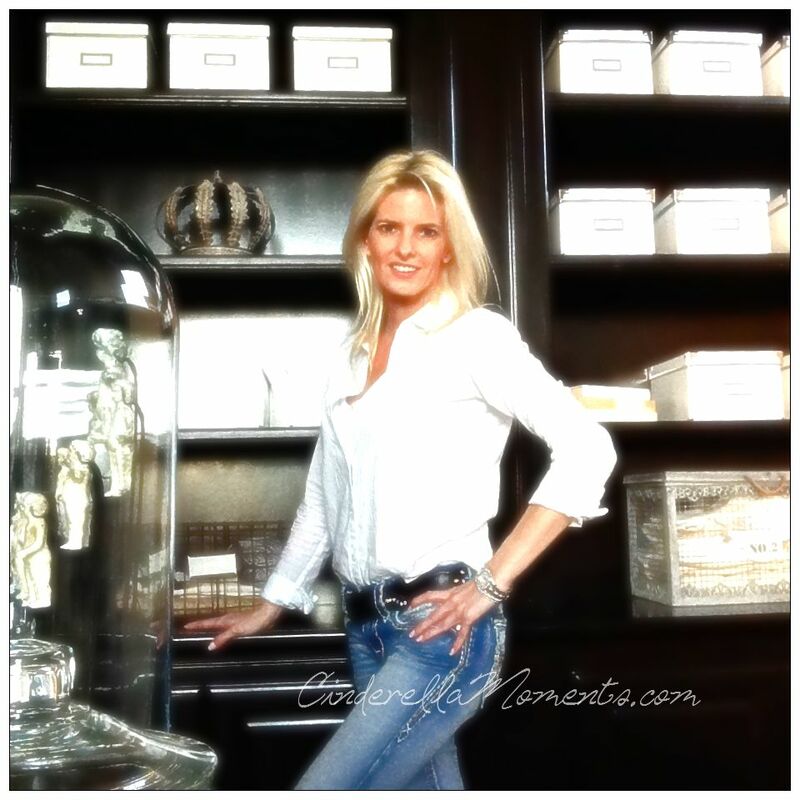 If I've said it once, I've said it a thousand times, "YOU ARE THE MASTER OF DOLLHOUSES!"